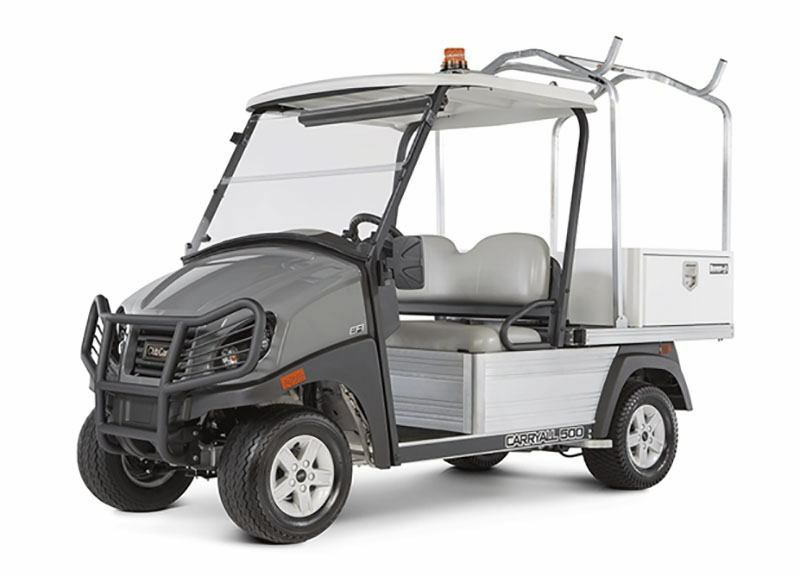 Your crews need vehicles with lots of secure cargo space and the right tools and equipment to stay on the move. Club Car gives you that and more in our Facilities-Engineering Carryall 500 and 700 vehicles, with available Van Box or Dual-Locking Tool Box systems. 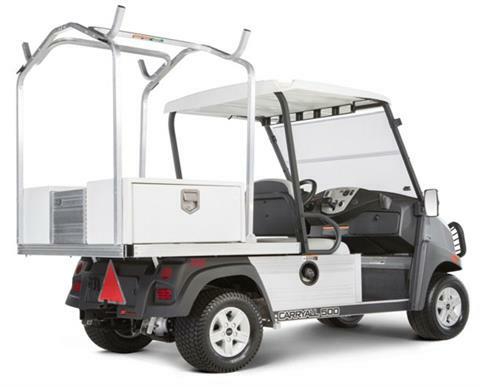 This vehicles features dual-locking tool boxes, a dual ladder rack with rope cleats, a heavy-duty two-inch receiver and much more. 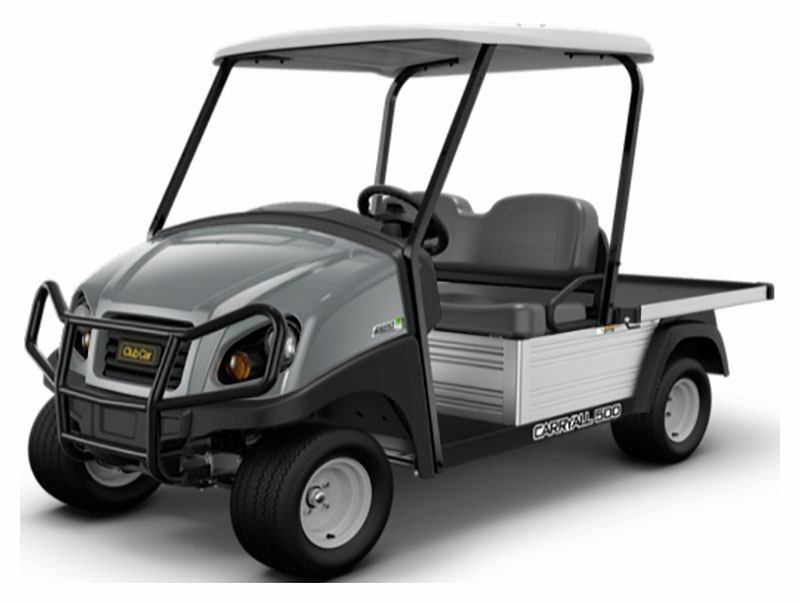 Gasoline models are powered by a 14-hp-rated (10kW) overhead cam engine that doubles the fuel efficiency of some competitive vehicles and carries heavier loads. HEAVY-DUTY 2 LEAF SPRING FRONT SUSPENSION – 4 WHEEL BRAKES: This heavy-duty, 2-leaf spring front suspension is for vehicles with 4 wheel brakes to handle higher impact and loading. HALOGEN HEADLIGHTS: Get a clear view of the path ahead with affordable halogen headlights. MEDIUM FLAT BED WITH TRIM: Easily load and unload equipment on this flat bed used on the Carryall 500, 550 or 510 LSV units. HEAVY-DUTY FRONT BRUSHGUARD: A heavy-duty, rugged brush guard is added defense against threats to the front end. 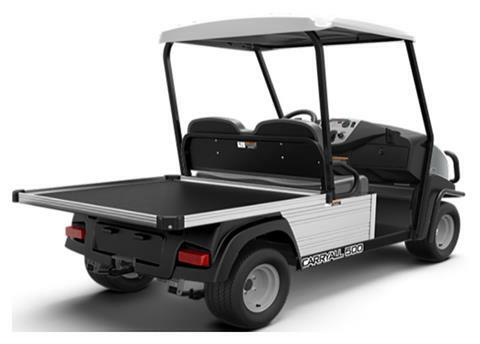 HEAVY-DUTY 2-INCH REAR RECEIVER: Couple a variety of trailers, accessories and more with the heavy-duty 2-Inch rear receiver. 12V POWERPOINT: Pair with your devices and cords to charge on the go. LADDER RACK FOR SIDE TOOL BOXES: Securely tote your ladder along on the job, keeping it out of the way so you can haul all the tools and equipment you'll need to get the job done in one trip. 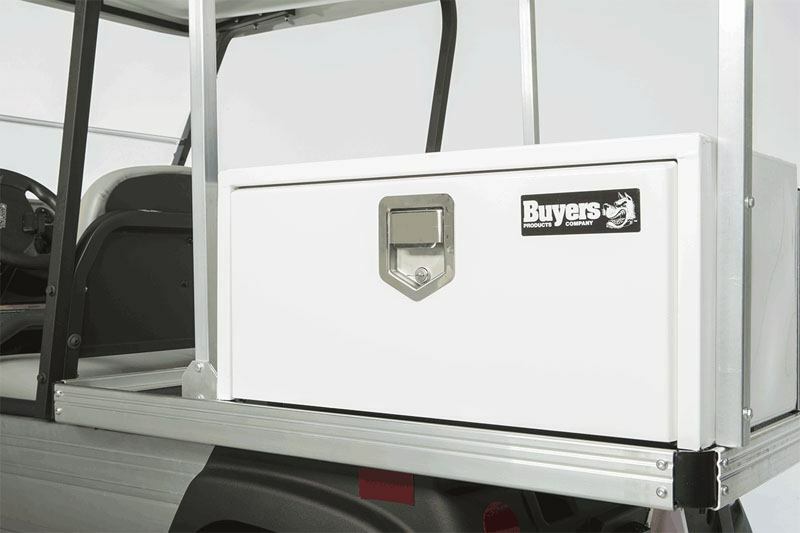 REAR TOOLBOX BED GATE: This rear toolbox bed gate protects your equipment from rolling off the bed during transport. REFLECTOR PACKAGE: Enhance the visibility of your vehicle from dusk to dawn. REAR-MOUNTED REFLECTIVE TRIANGLE: The attention-getting safety triangle is a recognizable symbol for safety and caution to help protect your crews when they are on the job. REAR FENDER GUARD KIT: Custom-designed fender guards are tested and proven to help protect the tires, wheels and axle in the event of accidental encounters during a turn or items such as safety bollards. 5-PANEL REAR VIEW MIRROR: Get a sweeping view of everything happening behind you to move through the work day with more ease and confidence.